Periodic Law Periodic Table What is Chlorine as on the Periodic Table? A highly irritating, greenish-yellow gaseous halogen, capable of combining with nearly all other elements. In its liquid and solid form it is a powerful oxidizing, bleaching, and disinfecting agent. It is produced principally by electrolysis of Sodium chloride and used widely to purify water, as a disinfectant and bleaching agent, and in the manufacture of many important compounds including chloroform and carbon tetrachloride. The Atomic Number of this element is 17 and the Element Symbol is Cl. The name originates from the Greek word 'khloros' meaning green referring to the color of the gas. Elements can be classified based on their physical states (States of Matter) e.g. gas, solid or liquid. This element is a gas. Chlorine is classified as an element in the 'Halogens' section which can be located in group 7 of the Periodic Table. The term "halogen" means "salt-former" and compounds containing halogens are called "salts". The halogens exist, at room temperature, in all three states of matter - Gases such as Fluorine & Chlorine, Solids such as Iodine and Astatine and Liquid as in Bromine. For additional facts and information refer to Chlorine Properties. 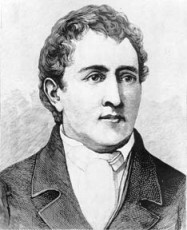 Chlorine was discovered by Carl Wilhelm Scheele in 1774. While studying the action of hydrochloric acid upon the mineral pyrolusite, in 1774, Scheele obtained a yellowish, gaseous substance to which he gave a name in keeping with the phlogiston theory then current. Later it was supposed to be a compound containing Oxygen. In 1810, however, the English chemist Sir Humphry Davy proved it to be an element and named it chlorine. Carl Scheele (9 December 1742 – 21 May 1786) was a German chemist who made a number of important chemical discoveries before many others but was rarely given the credit for his findings. For instance, although Scheele discovered oxygen Joseph Priestley published his findings first so was given the credit. 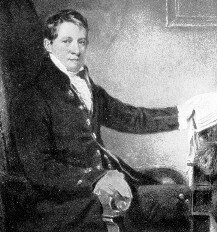 Carl Scheele also identified molybdenum, Tungsten, barium, Hydrogen and chlorine before Humphry Davy and other scientists. Sir Humphry Davy (1778-1829) isolated sodium, Lithium, Potassium, barium, strontium, and Calcium by means of electrolysis; demonstrated the elementary nature of chlorine; invented the safety lamp; discovered the stupefying effects of nitrous oxide. Check out Chlorine on the Periodic Table which arranges each chemical element according to its atomic number, as based on the Periodic Law, so that chemical elements with similar properties are in the same column. Our Periodic Table is simple to use - just click on the symbol for Chlorine as on the Periodic Table for additional information and for an instant comparison of the Atomic Weight, Melting Point, Boiling Point and Mass - G/cc with any other element. An invaluable source of facts and information as a Chemistry reference guide. The Standardised Periodic Table in use today was agreed by the International Union of Pure Applied Chemistry, IUPAC, in 1985 and now recognises more periods and elements than Dimitri Mendeleev knew in his day in his day but still all fitting into his concept of the "Periodic Table" in which Chlorine is just one element that can be found. These articles contain facts and information relating to Chlorine and each of the other elements including the Periodic Symbol, group, classification, properties and atomic number which is often referred to as the Periodic Table Number. Test your knowledge of chemistry and the Periodic Table by completing the Element Symbols and Atomic Numbers on our Blank Periodic Table. Chemistry students will also find a helpful section on Chemical Formulas.